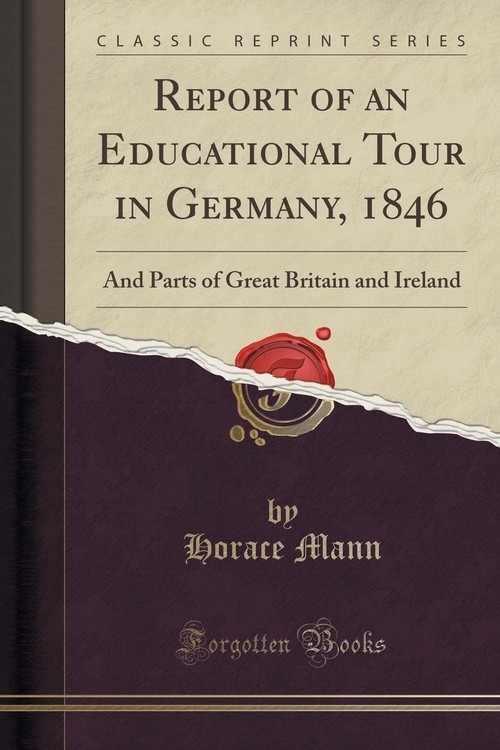 The same wish to spread information, and to stimulate thought, which induced Mr. Mann to undertake an Educational Tour over so large a portion of Europe, and to publish a Report of his observations, has led (with his kind permission,) to the present republication of his Report in this country. It is not more important for America that it should know and understand what is doing for Education in Europe, than it is for us in Europe to know what value an intelligent American places on our labours. The absence of the advantages which a more leisurely and extensive examination would, doubtless, have given to our author, is greatly compensated by the presence of a clear and penetrating judgment, trained by experience, and little, if at all, biassed by prejudice. The first impressions on a mind so constituted, and so prepared, are probably not far from just; and of such impressions the benefit is reflected upon us. Of continental systems of education, besides, England is not better informed than is America, while it stands in not less need of information.